Before moving to Singapore I worked at a school for kids with severe special needs. The ages were from pre-k to 21. I loved this job. I am very good at taking care of people and that is exactly what I did. This week I found out that one of the students I worked with passed away last week. I didn't work with Nicole alot because she had her own full time nurse because of how severe her needs were. However, when I did work with Nicole I had a fun time. She enjoyed getting make up put on and having her hair brushed and braided. She loved Hannah Montana music and even let me borrow a CD to burn for my daughter. She was every bit a typical teenager she just came in a different package. She was capable of all emotions and you could clearly read her face. She had her fits and she had her joys. She couldn't talk but she could blink for yes or no. She was a smart young woman and she touched my heart deeply. As all the kids I worked with did. 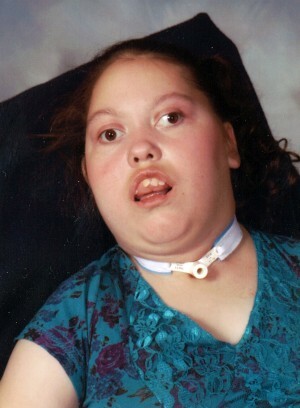 I don't know her full story and what exactly made her special needs and honestly I don't care. I just know she will be missed by me. She taught me many things in the short months I knew her and I'm glad that I got to call someone so special my friend. May you have new dreams to achieve Nicole. I'm so sorry, Laurel. I'm so glad you knew her and she had an impact on your life. Next to being a mom that was the best job!